- A location map link, usually showing roads and directions to the rollerski trail system/route. - A map link of the rollerski trail/route. - A link to trail detail including trail reports for the given rollerski trail/route. - A route that uses primarily roads. - A trail that is primarily off-road (gravel/limestone). 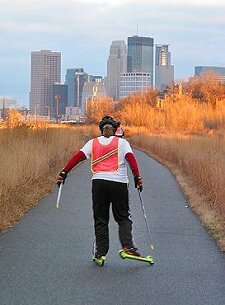 Rollerskiing has really grown in popularity in recent years and with only about three months of snow cover (in a good year! ), a lot of skiers spend the bulk of their cross-country ski training on rollerskis. The trick has always been where to rollerski? We started a list of rollerski trails, and readers have submitted their favorites. 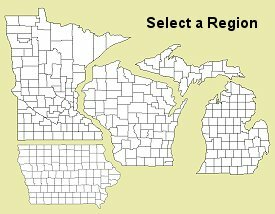 Help us continue to grow this list by submitting your favorite trail system or road route. Please include information like the trail location, a map or directions, a possible web site, trail distance, and some pros and cons about the trail.